Even though inquiry cycles help us involve students and lead them toward understanding, they are often linear formulas that may still feel like an imposition to some students. Perhaps we, as teachers, can come up with our own version to engage students with a more open and flexible process, one that better suits the learner’s needs. As a 5th and 6th grade teacher, I have learned a great deal by implementing inquiry-based learning in the classroom; it seems like the right way to foster intellectual engagement. However, when putting it into practice, I experienced a gap between the students’ ideas, questions, and impetus and the inquiry cycle I was trying to follow. The children seemed to have very different starting points, different routes they wanted to take. I had to find a way to incorporate these multiplicities. Then I came across William S. Harwood’s A new model for inquiry on the National Science Teacher’s Association website where he details a more sophisticated version of an inquiry cycle in which learners can choose from ten specific activities. So, in this spirit we designed 10 activities for the students to choose from, based on their specific needs. This a la carte method seemed to imply more work for the teacher and possibly a mess in terms of assessment. However, as soon as we started the exhibition process and the children chose the transdisciplinary theme Sharing the planet, they immediately felt empowered and were notably excited about the unit. When it was time to delve into questions and content, each one of the students had the opportunity to choose an activity that would suit their needs. Some students asked questions in a broad, general manner, while others were already interested in a specific topics like over-fishing or global warming. Each student could carry on and work on the stage they were ready for and decide if they had to define a specific problem, work on a solution, or start communicating results. Since each student was bringing evidence of their process in each stage, it was not difficult to assess their learning and methods and to give them feedback in a timely manner. The students were visibly more engaged and motivated; they were gaining ownership of their learning process and some associations were naturally beginning to form since the inquiry paths were converging or meeting at certain points. 1. The benefits and challenges of living in a diverse world. 2. The historical roots and contemporary causes of conflict between peoples and nations. 3. The impact of the tools and strategies used to promote peace and resolve conflict around the world. 4. My role in shaping the world I want. Making inquiry cycles fit our purpose was an innovative way of proceeding at Lomas Altas. We found it challenging but the benefits were clear. We had more empowered and engaged students who were more responsible in their learning and had opportunities to make decisions along the way. This way of learning translated into action as some of the parents made comments on how their children were making changes at home and asked if their families could be a part of the exhibition as well. The children realized that even though the world’s issues may seem severe and often too complex, each of us plays a part and that everything that we do, even on the individual plane, matters to make the world the place we want to live in. I believe that, as teachers, we have a responsibility to help our students drive their own learning and to help them see that it is all up to them; only then can they truly be free and capable of developing their full potential in the future. 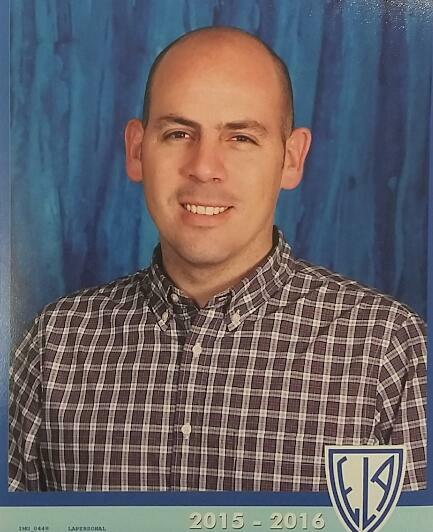 Rodrigo González is teaching 5th and 6th grade Spanish at Escuela Lomas Altas in Mexico City. 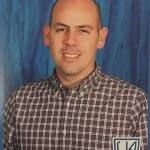 Rodrigo has been teaching at authorized IB Schools for the past 4 years. He is a graduate from Naropa University and he manages a small bookshop in his free time. PYP in an early years setting video is out! I enjoyed reading your article and the different model for inquiry by William S. Harwood. Like you said, it obviously empowered and excited your students. I am wondering if you had thought about letting the students create their own tasks? When my students complete a summative assessment, they are given the opportunity to create their own. There is a planning document in place and a discussion about what is expected, a class rubric is created and the students can then choose something based on interest, make links to the central idea and then they create their own piece that meets all the rubric requirements. Like you mentioned this is a lot harder to mark and takes more time as a teacher, but the students are highly motivated and their ownership of learning is impressive. You know, I had not thought about it, it’s a great idea that I must put into practice. I guess, like you say, with the proper discussion and planning, students can create their own activities. It must be rewarding for them and a very interesting process to see as a teacher. I am really going to put it to the test tis year. Thank you for your input! Kristin, I’d really like to know more about how they might design their own activities, beyond action for future reference. Having students design their own assessment is great! Your article was powerful to me especially where you write about students taking ownership of their learning. When this happens, we must feel good about the intentional planning we are carrying through to provide authentic learning opportunities for our students. Great read! I hope to visit your exhibition this year. Diego, thank you for your comments. Indeed, it is very satisfying to find ways to provide better learning opportunities for our students and to be able to share our experiences with a community. You are more than welcome to visit us if you are in Mexico in June. Let me know! ¡Qué gusto ver el nivel de indagación que se hace en México! Great job Rodrigo! I really enjoyed reading you and will share and explore The new model for inquiry that you are mentioning with my colleagues. Why don´t you write an article about this year´s Exhibition and share it with us? I love the complexity and dynamics of this inquiry cycle, Rodrigo, and am really keen to use it, thanks for sharing. We are currently having students start with questions about their own passions as they engage in the Exhibition process. Digging deep into what critical problems there are in relation to something they love is challenging and motivating. I think student choice is so important for an extended inquiry and your focus on getting them to define their own learning journey to such a degree is something I will share with my team. What a well-written article. Thanks for sharing your writing ability! I’m comforted others coming to the same conclusions: We need to find diverse ways to model and provide for agency for students. The Activity Model is a solution I had considered and researched and planned for, and have yet to implement. Thank you for the push! How many implementations have you made of the Activity Model, and what successes made or changes needed?